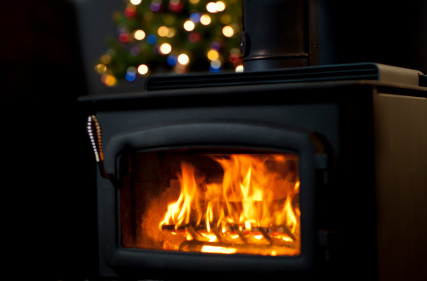 There is nothing like having a real wood fire in your fireplace! 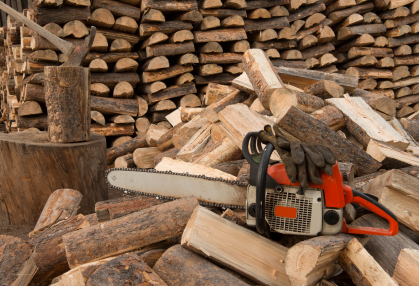 At FireMasters, Inc., we take the stress out of purchasing firewood by keeping it simple & affordable. You only need one phone number (763-755-1017) for all your firewood needs. You can call the same company year after year and talk to the same people each time. You will be talking to someone who knows you, understands your firewood preferences and cares about your satisfaction. Most importantly, you will never have to worry about getting ripped off again! At FireMasters we cut, split and season the firewood personally. "Seasoned" means that the wood has been cut and split, then dried long enough to remove the moisture from it, which usually takes about two years. After making the firewood, we hold it for two years so we know exactly how long it has been seasoned. That is why we can give you a 100% guaranty. We sell a fantastic mix of Oak, Ash & Maple, with Birch when available. This mixture is great for fireplaces, fire pits and woodstoves. The birch and maple are easy to light and produce lots of flames, for a brighter, prettier fire. The oak & ash are heavier woods, added to make your fire last longer. If you heat with wood and want more oak, just let us know when you order and we will bring you 75-100% oak at no extra charge. Our customers are the most important part of our business. We have thousands of satisfied customers that order repeatedly (references are available). We would like to do business with you and will do everything possible to keep you as a regular customer. Call today - you have nothing to lose & everything to gain. "We have purchased 2 year old oak from Firemasters twice now and both times they drove clear out to our home, 4 miles south of Belle Plaine to deliver it, stacked it, and even chatted with us while they unloaded it! We have been very happy with the quality of the firewood and plan to continue buying from them for quite some time. Thanks Larry and Cathy!" FireMasters, Inc. offers free delivery of your firewood. We strive to deliver all orders promptly, our normal delivery is within one to two days from the time you place an order. After scheduling a day and time for delivery we will do everything in our power to arrive within the appointed time range. If we are going to be late, (due to traffic, weather conditions or any other reason) we will call you as soon as we know and keep you informed of the status of your delivery. We deliver to Minneapolis, St Paul, and all suburbs of the Twin Cities. We do not charge extra for delivery within the metro area. At times we receive orders from areas farther away from the Twin Cities and we may charge a fuel fee for deliveries that are outside of our normal range. 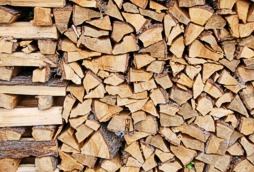 At FireMasters, Inc. our prices include free stacking of your firewood. The wood will be straight stacked between two log cabin style ends. The measurement you purchase will always be the measurement you receive. We will stack it in your garage, beside the house or anyplace we can drive to. If you need your wood stacked behind your house or in a place we are unable to drive to, just let us know so we can bring a wheelbarrow. We do not charge extra for this service, but request that you provide a path so we are able to use the wheelbarrow. We reserve the right to charge an additional fee for long distance stacking. If you have steps between the driveway and the preferred stacking site, please let us know when you place your order. Our company policy prohibits carrying firewood up or down steps, due to the danger involved. We will work with you to find a solution, such as another way to the stacking site or an alternative site that meets your approval. Most of our orders are delivered within one or two days. We make daytime, evening and weekend deliveries. You do not have to be home in order to have your firewood delivered. We can make arrangements for you to leave a check or pay by credit card over the phone. If you need your wood in a hurry, just let us know! In most case we can deliver the same day you order. Sometimes it may not be possible, especially if you are far away or order late in the day. In this case we will deliver as soon as we possibly can. "Firemasters has been a life saver. 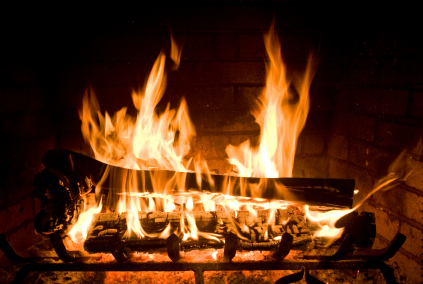 We make use of wood fires in the fall and winter to augment our heating and of course for that cozy feeling. As we get older it gets harder to face the stacking of wood each fall. Firemasters not only brings high quality wood in perfect sizes for burning, but they stack it as well. They also deliver more in the winter months if we run low. All for a great price. Thanks Firemasters!""